The Minister for Finance, Michael Noonan, was one of three Irish attendees at this year's Bilderberg Conference - a secretive meeting of high-powered figures in politics, business and media. IT IS ONE of the world’s most secretive and high-powered groups – bringing together figures from the political, financial, diplomatic, corporate and media worlds in a confidential four-day conference discussing all manner of sensitive topics. Today, TheJournal.ie can shine a light on some of the inner workings of the Bilderberg conference – an annual meeting where the world’s most powerful and influential people meet to discuss the shape of the world and what can be done to improve it. Documents obtained under Freedom of Information legislation reveal the full agenda of the 2012 meeting, which counted Ireland’s Minister for Finance, Michael Noonan, among its attendees. They also provide previously unconfirmed details about the protocol and nature of the invite-only event – the secrecy of which often prompts accusations that the group’s ultimate task is either the advance of capitalism worldwide, or the formation of a unified global government. 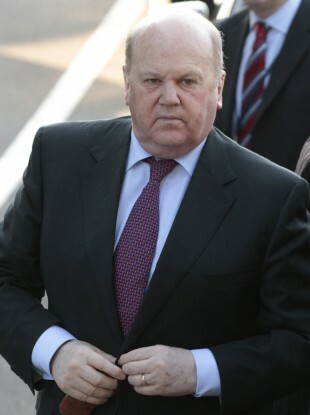 The 2012 conference, held just outside Washington, DC, took place over the June Bank Holiday weekend – requiring Noonan to leave Ireland on the day that polling was taking place on the crucial Irish referendum on the eurozone’s Fiscal Compact treaty. The minister’s attendance cost a total of €4,366 – about three-quarters of which was his air fare, with a hotel bill for $1,161 (the Marriott Westfields hotel charged Bilderberg attendees $355 a night, plus taxes, for their rooms) and €261 in other miscellaneous expenses. Asked about Noonan’s attendance in June, a spokesman for the Department of Finance said the conference provided “an excellent opportunity to sell Ireland on the world stage”. “The Minister is working to promote a positive image of Ireland and to attract jobs and investment into Ireland,” he added. The documents inform participants about the nitty-gritty of the annual event, including details on its dress code (casual dress for daytime, formal wear for evening meals) and even informing them that personal staff are generally not welcome unless agreed in advance. “Participants attend in a private capacity, irrespective of their official position,” it advises. They stress that the meeting does not issue any formal communications afterward, nor take a vote on any resolutions – with all of its discussions taking place on a strictly not-to-be-quoted basis. “Fruitful discussions are enhanced by an atmosphere of mutual trust in which participants can express themselves freely,” attendees are told. All discussions are therefore private and off-the-record; the press is excluded from the meetings. They reveal how the few personal staff brought by some guests – likely to include members of various royal families who were on the 2012 attendance list – are given their meals in a separate room, so as to preserve the general confidentiality of any discussions. While there is some flexibility for bringing personal staff, there is none for significant others: attendees are told that participants “may not bring spouses to Bilderberg Meetings”. The briefing notes – sent in two batches, one at the time when Noonan accepted his invitation to the conference and a second shortly before departure – also contain the original intended attendance list for the 2012 meeting, which includes several names not on the ‘official’ list. The list may be incomplete, however: reporters covering the conference said they understood US presidential candidate Mitt Romney had been present, as had Microsoft co-founder Bill Gates. Neither of those men appeared on either list. Also included is the conference’s preliminary agenda, which again differs from the published official ‘final’ version. Among the topics down for discussion were Trans-Atlantic relations, ‘Putin 2.0′, the politics and geopolitics of energy, tackling the nuclear threat of Iran, instability in the Middle East, and the economic and political outlook in China. Topics listed as being discussed, but not included in the preliminary list, include US foreign policy and a discussion on the sustainability of the Euro. Bilderberg has only a small full-time secretariat, which the documents reveal to be based in the Netherlands – but which shuts down for the duration of the annual conference. Its financial setup means it does not cover accommodation costs for the participants; the 140-or-so people in attendance, all of whom stayed at the Marriott Westfields hotel, were each charged the same $355-per-night rate for each of the three nights that they stayed. The hotel, situated about 20 minutes’ drive from Washington’s Dulles international airport, was booked in its entirety for the four-day event; it reportedly removed all non-Bilderberg guests in the days ahead of the conference in order to beef up its security. Even still, security is so tight at the conference – given the concentration of high-powered guests staying in close quarters – that attendees are required to add special labels to their luggage, carrying the conference’s ‘B’ logo. Though the hotel is entirely booked out, attendees are assured that the final guest list is not given to the hotel until the latest possible opportunity. For 2012, the hotel also used a special name – ‘Palm Tree’ – to refer to the conference before details of the venue were publicly released. Other attendees at the 2012 event included the presidents of the ECB and the World Bank, the Queen of the Netherlands and the Crown Prince of Belgium, three European Commissioners, and figures of many of the world’s leading companies including Google and Goldman Sachs. Other Irish attendees included two former attorneys-general: Peter Sutherland, now the chairman of Goldman Sachs International and who sits on Bilderberg’s steering committee, and barrister Paul Gallagher who still regularly represents the likes of IBRC in court. Irrespective of whether any of the three Irish attendees are invited to future conferences, they will all be briefed on what is discussed: the documents refer to a ‘summary report’ of the conference, outlining what was said at each debate (though not the person who said it). This summary report is sent to the attendees of the conference, and to those who had participated in previous meetings. Among other previous Irish attendees are another two former attorneys-general: former Tánaiste Michael McDowell and practising barrister Dermot Gleeson. The late former Taoiseach, Garret FitzGerald, also attended during his tenure as Minister for External Affairs in the 1970s. Ireland’s Freedom of Information laws provide that third parties must be consulted on any request which would result in the release of their personal information. The only redactions to the documents – other than details of credit cards used to book Noonan’s transport and accommodation – are the names and contact details of staff from the Bilderberg secretariat. The group takes its name from the Dutch hotel in which its first meeting was held in 1954; the first conference was prompted by fears of a growing anti-American sentiment in Europe, leading a Polish politician to arrange a confidential meeting between a small group of individuals from both sides of the Atlantic. The meetings have been held every year since, with one exception – 1976, when a bribery scandal involving a member of the Dutch royal family resulted in the event being called off. Read: What are the Bilderberg Meetings – and what’s Michael Noonan doing there? Email “Revealed: Life behind the scenes at the secretive Bilderberg conference”. Feedback on “Revealed: Life behind the scenes at the secretive Bilderberg conference”.